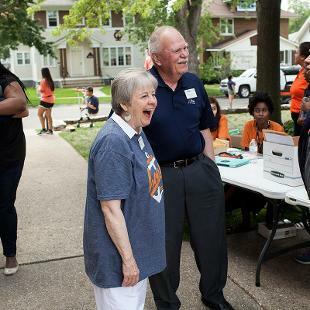 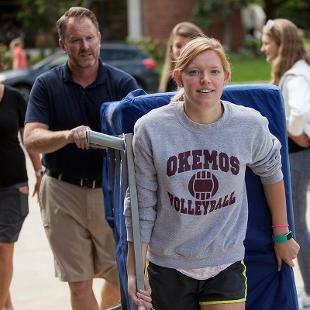 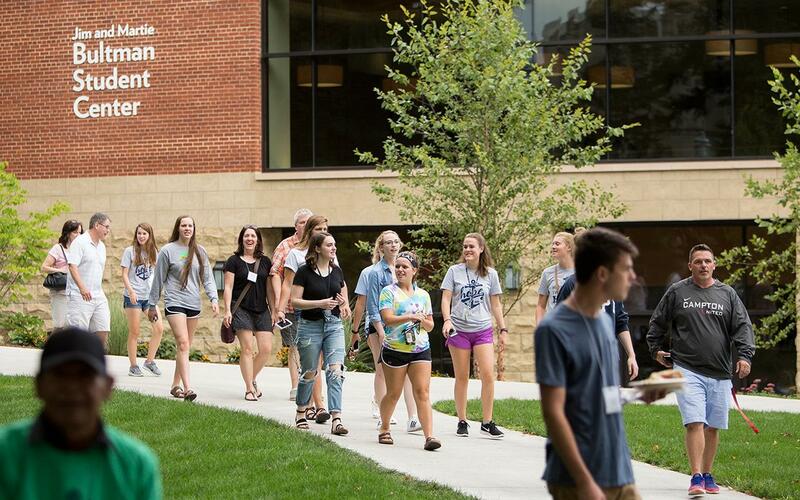 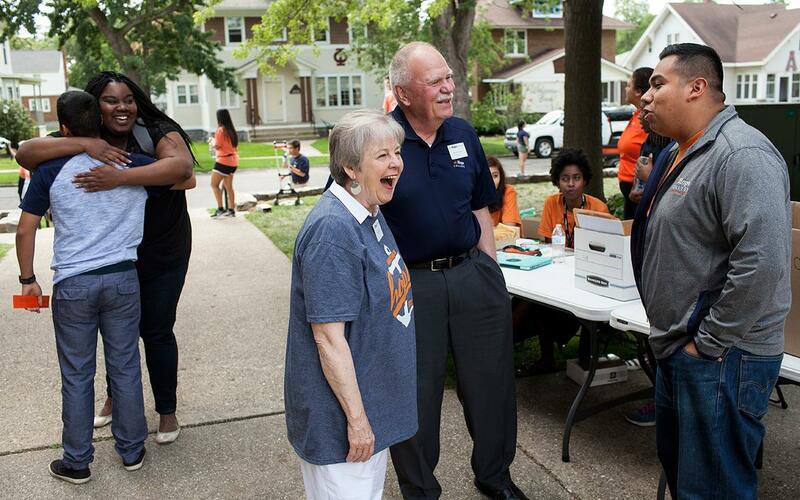 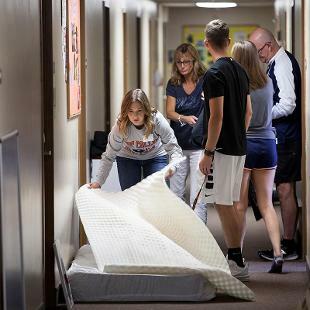 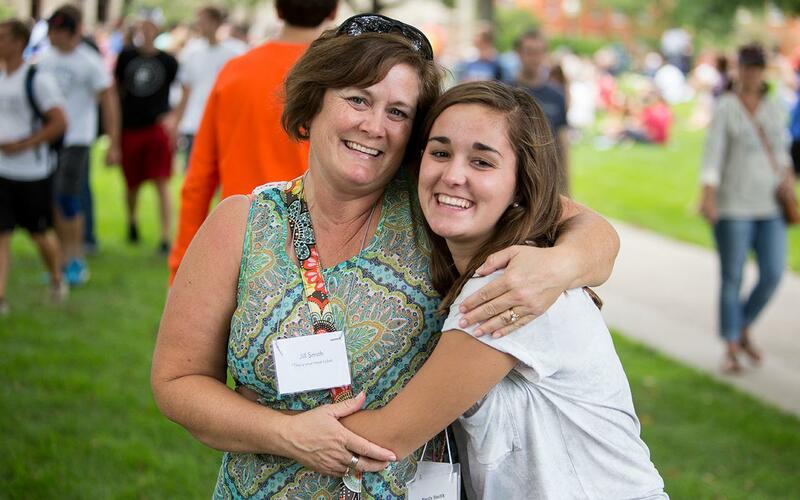 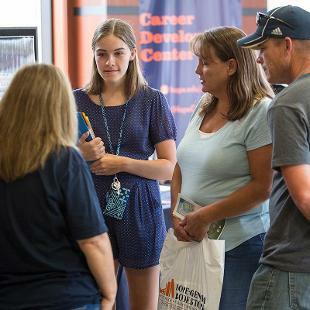 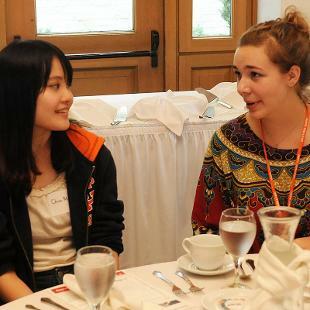 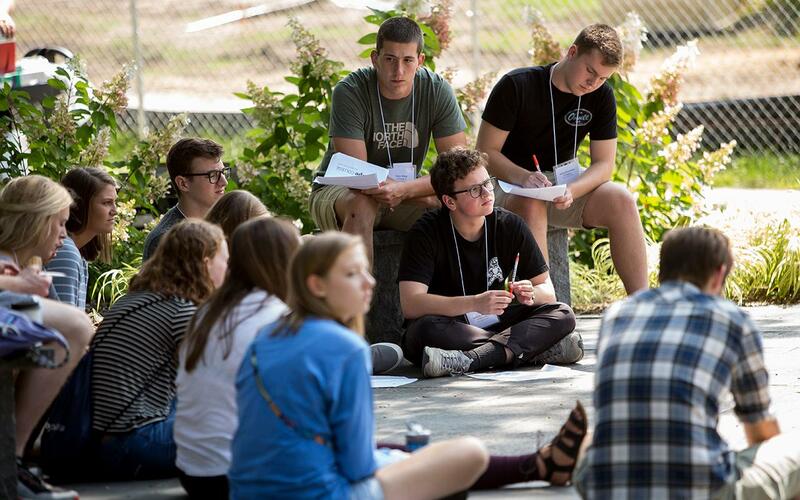 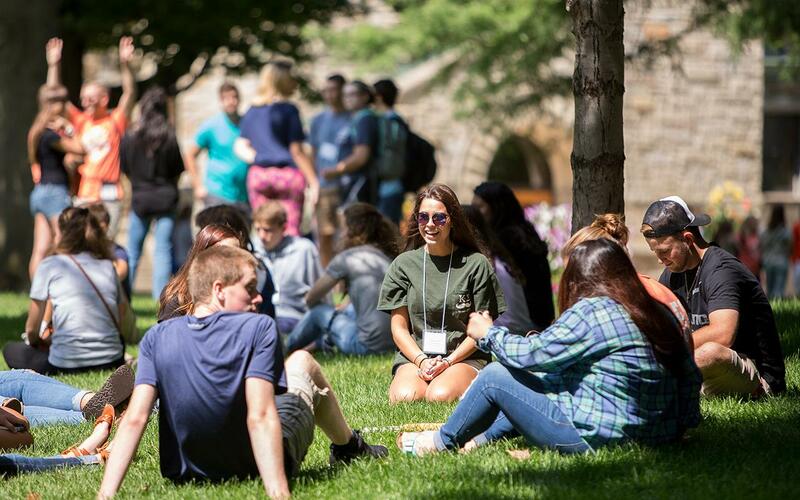 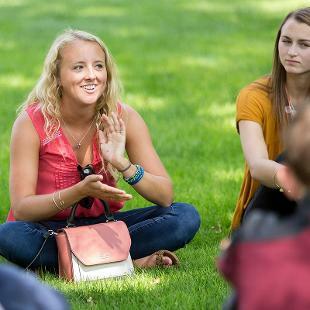 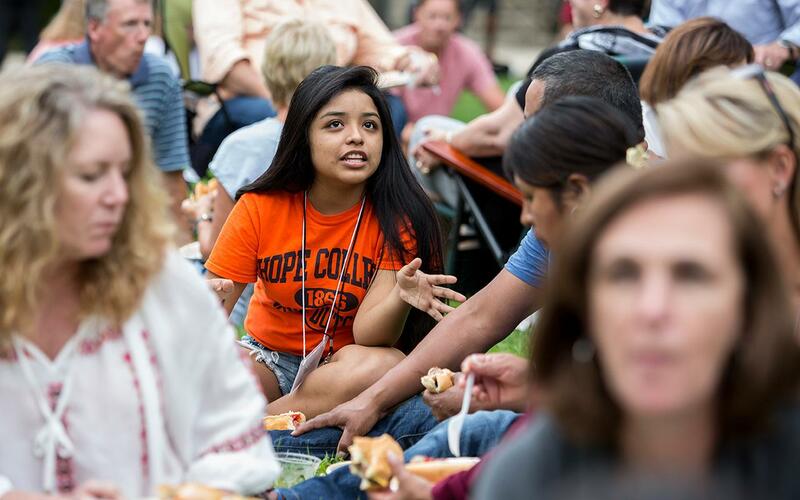 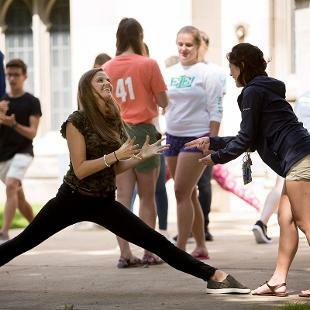 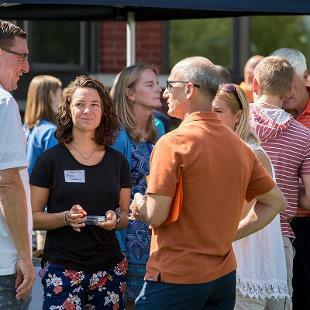 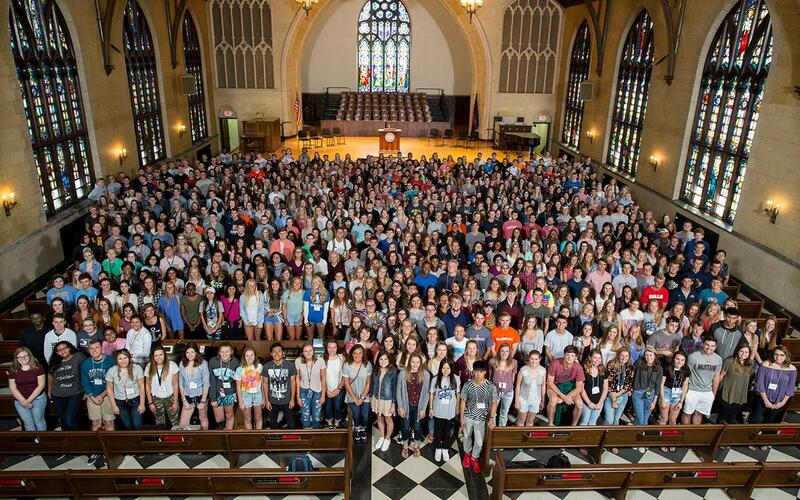 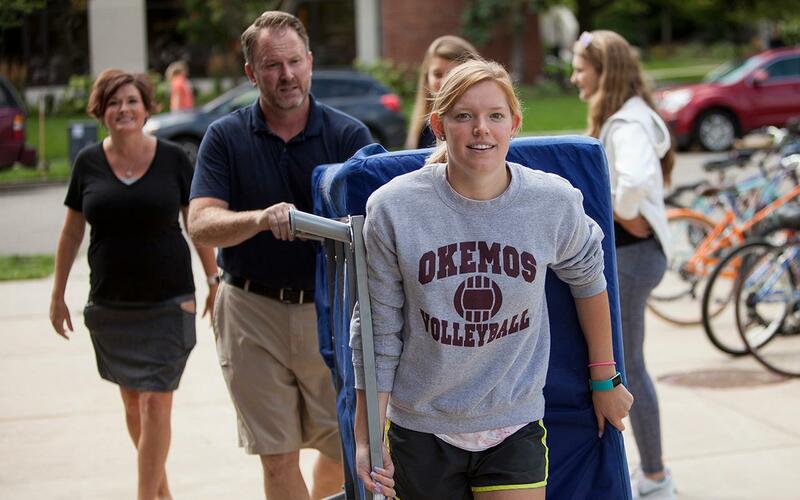 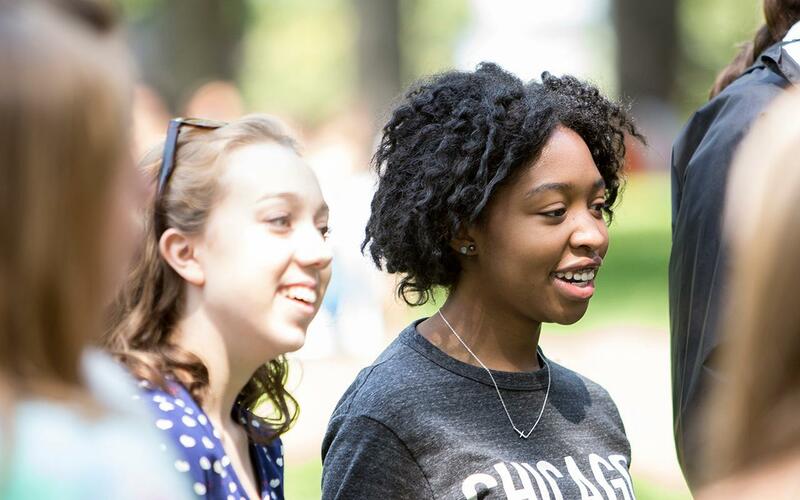 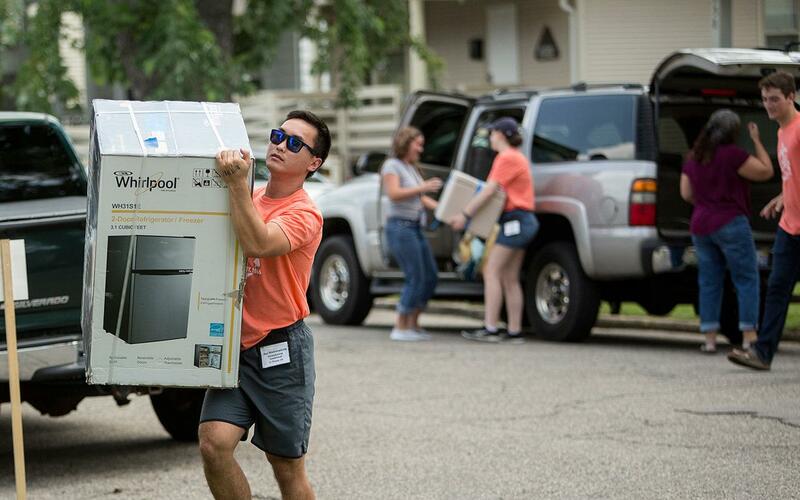 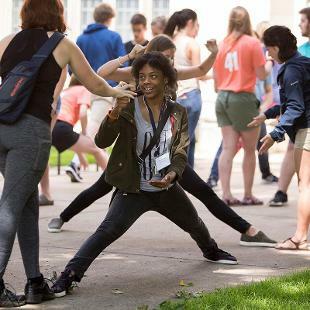 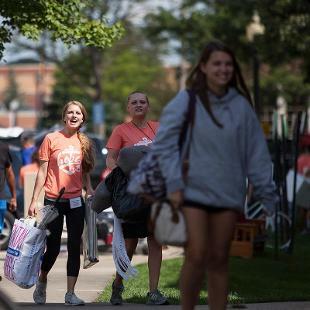 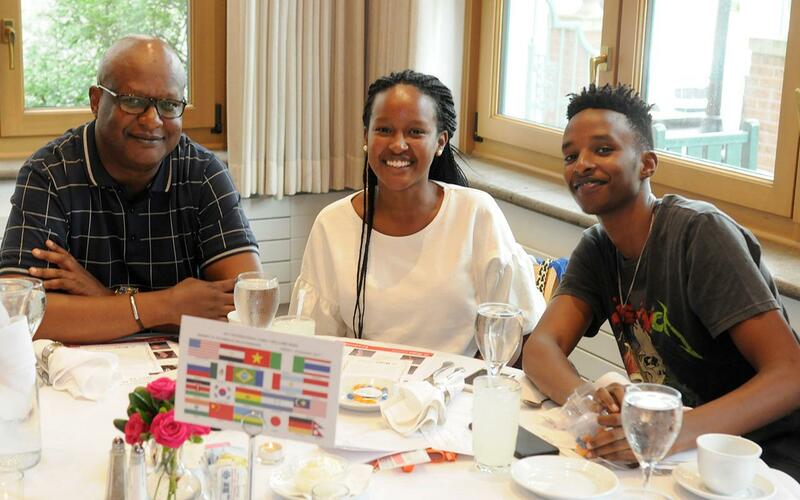 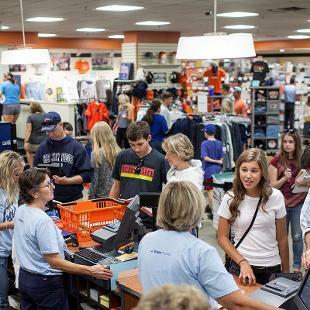 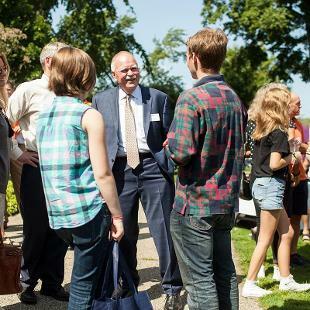 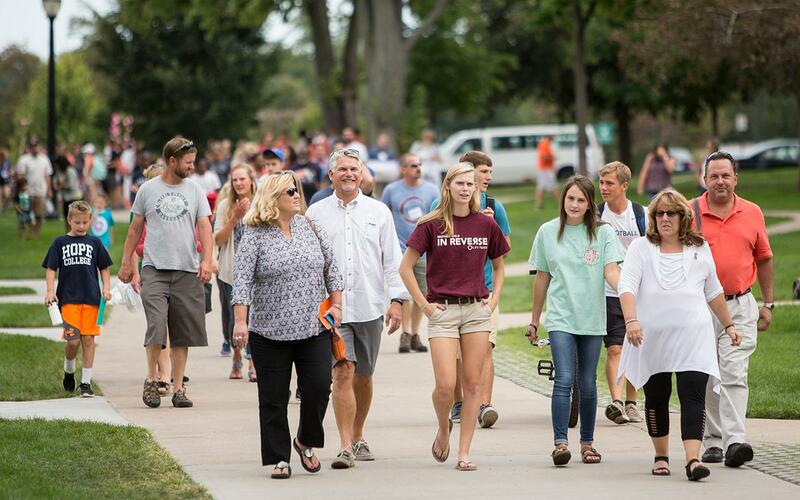 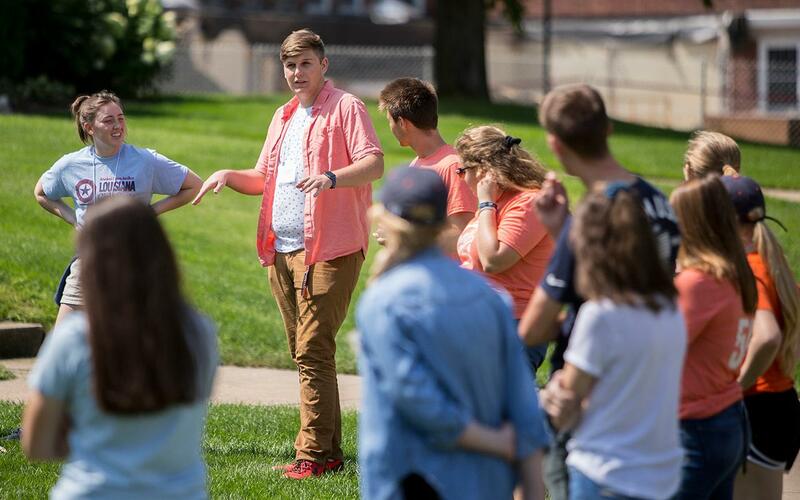 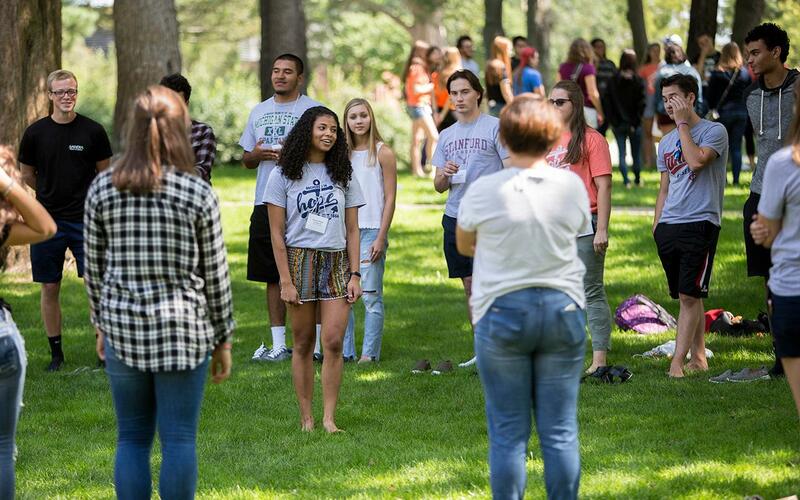 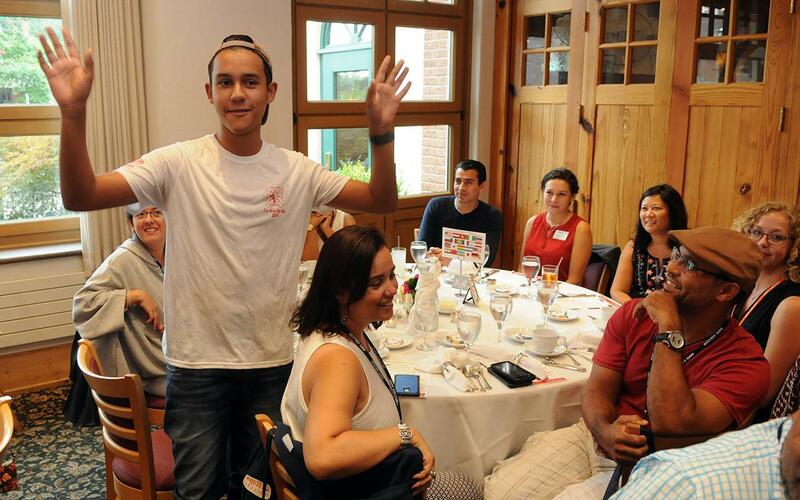 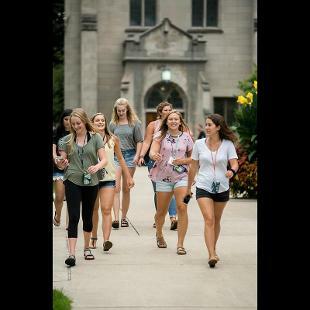 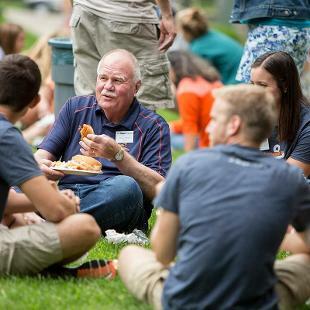 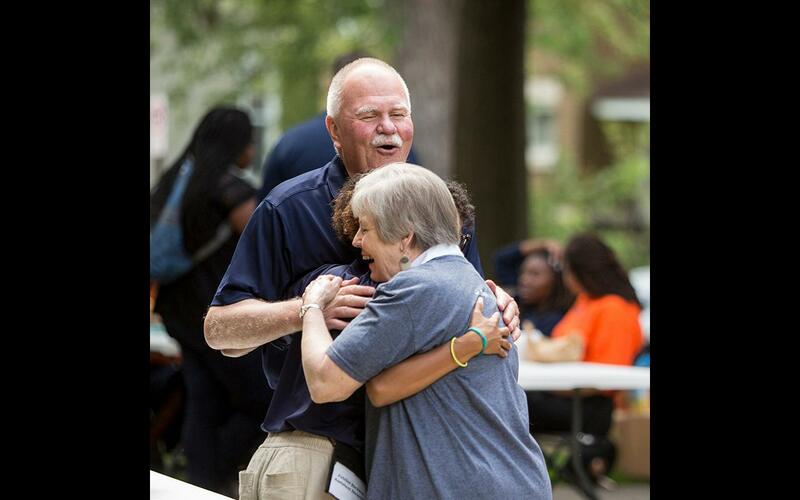 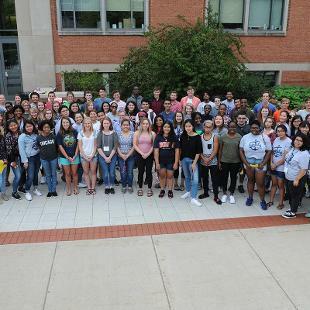 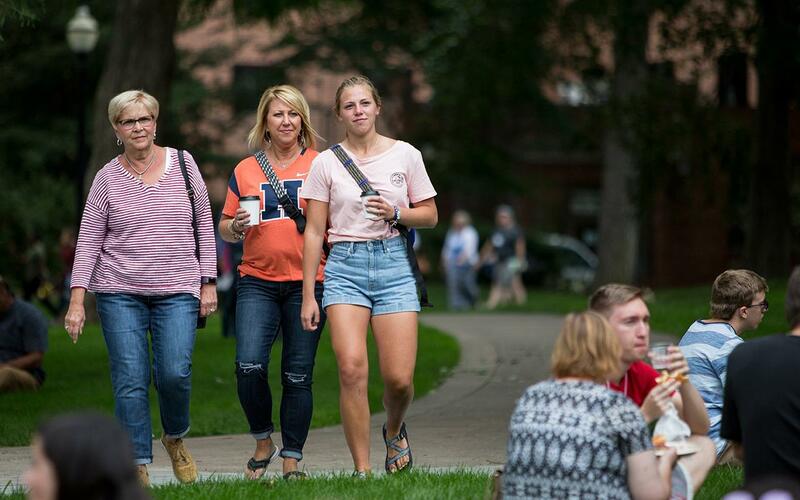 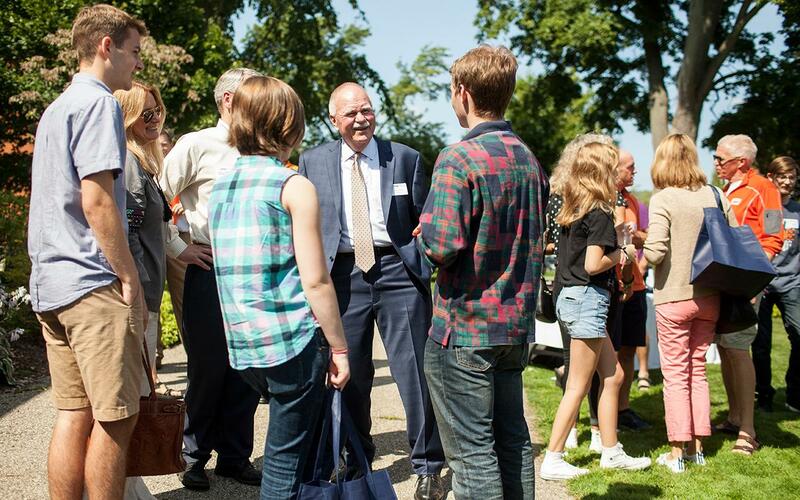 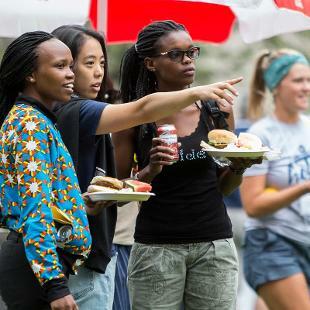 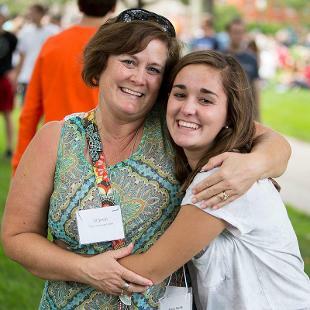 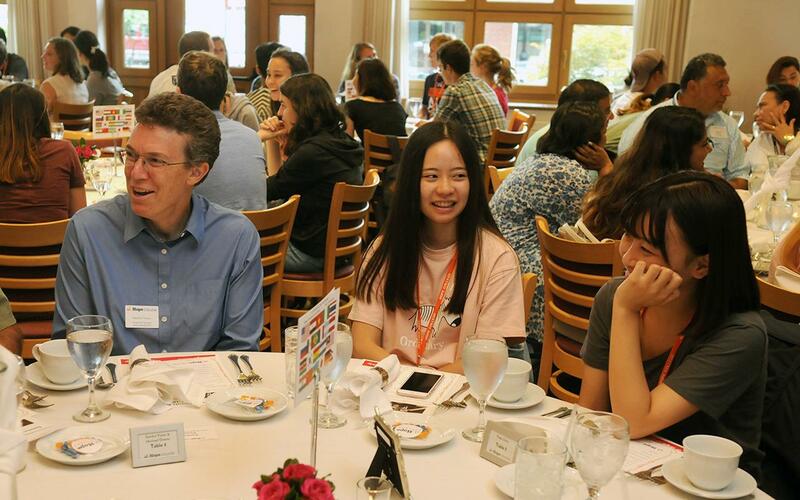 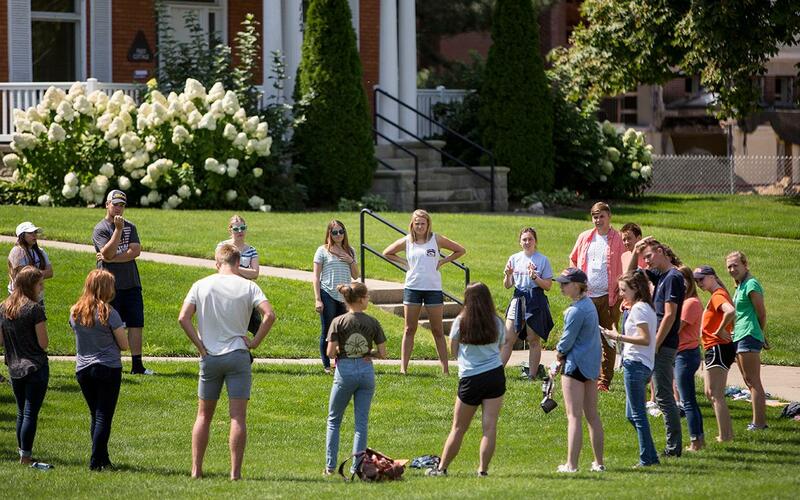 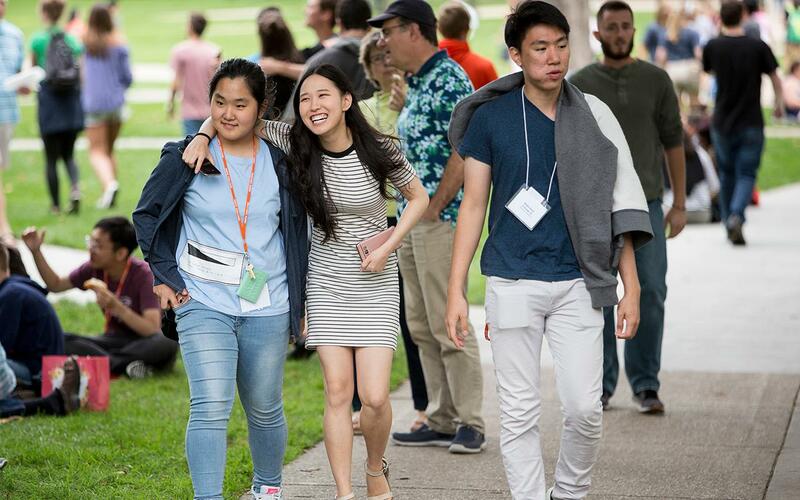 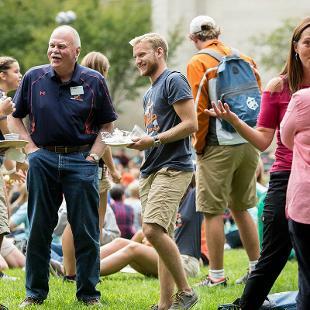 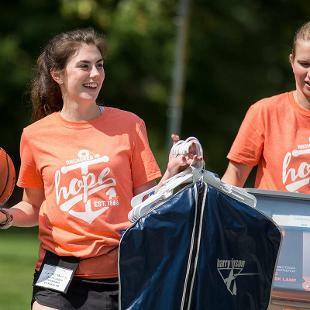 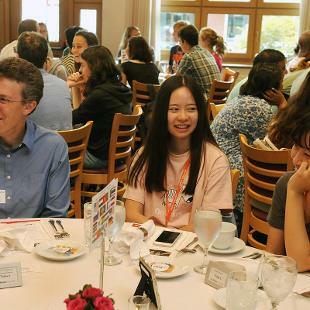 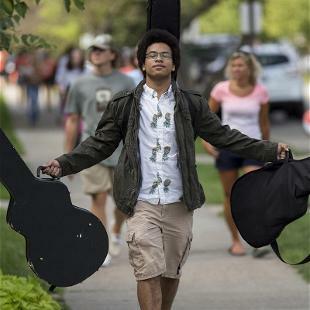 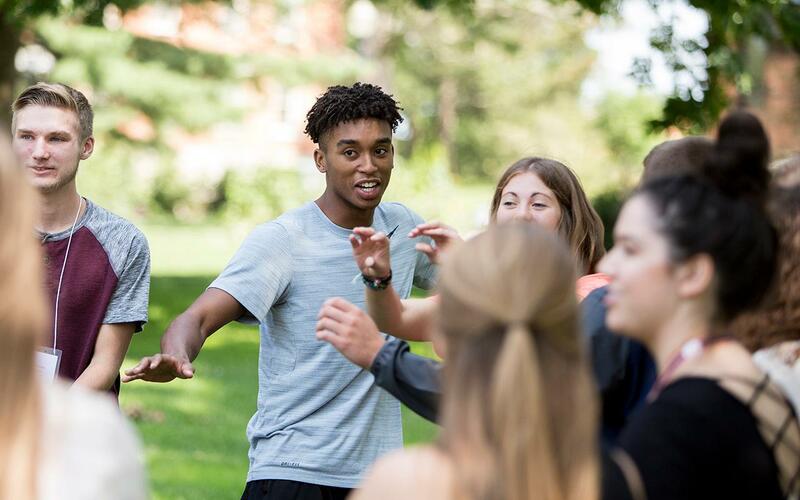 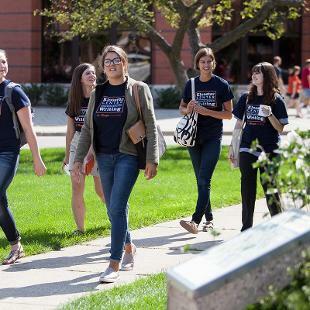 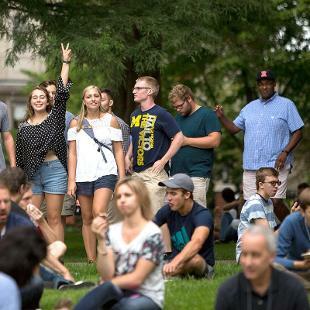 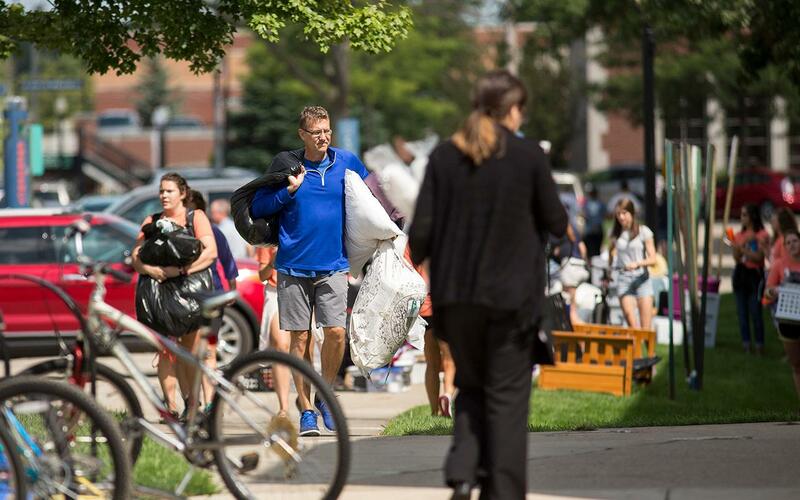 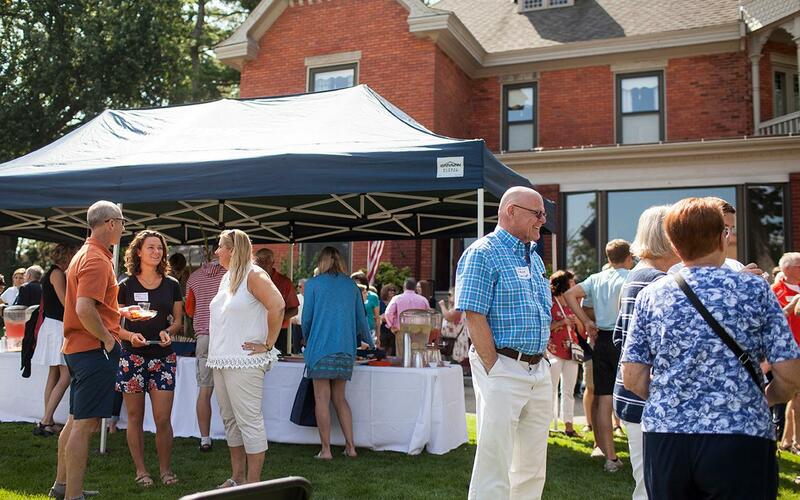 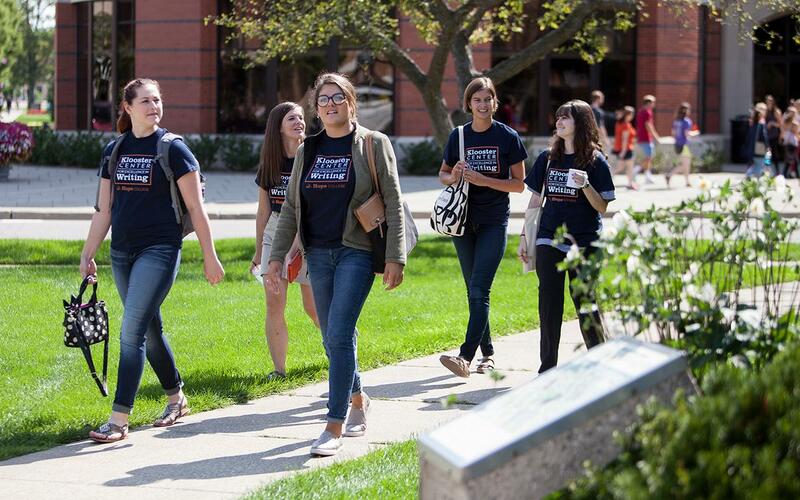 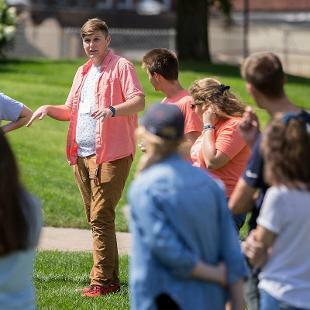 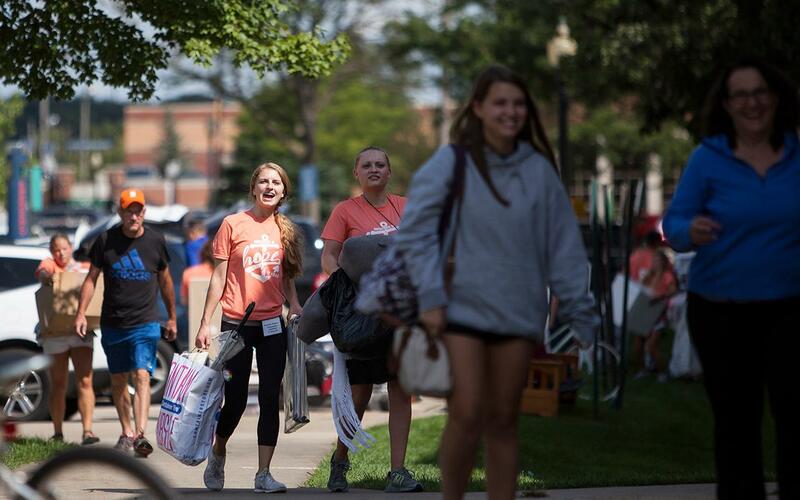 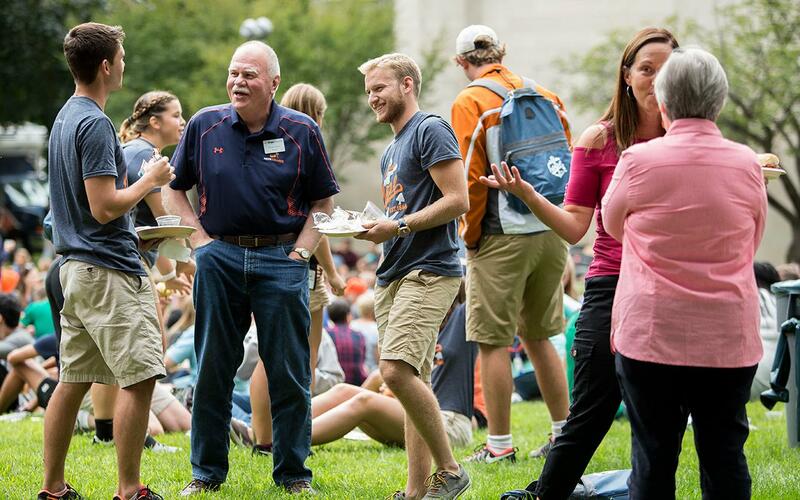 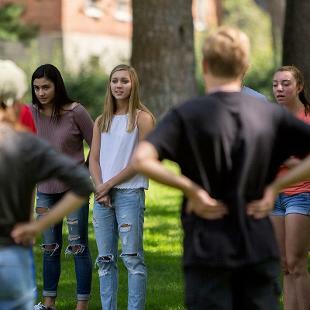 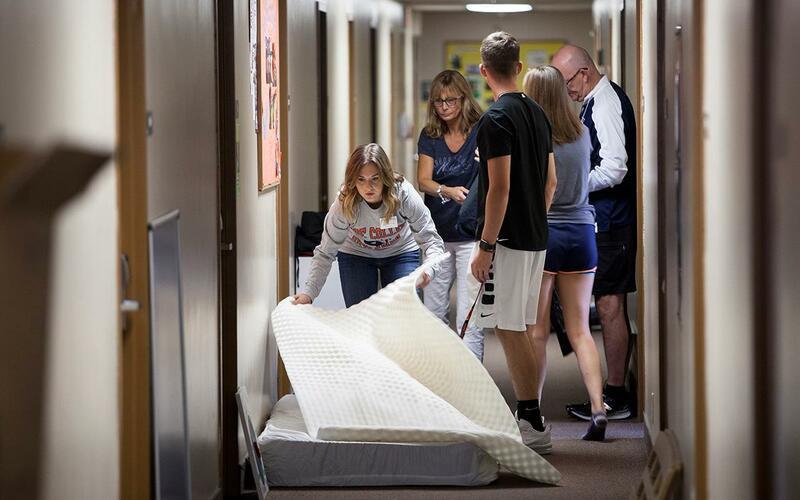 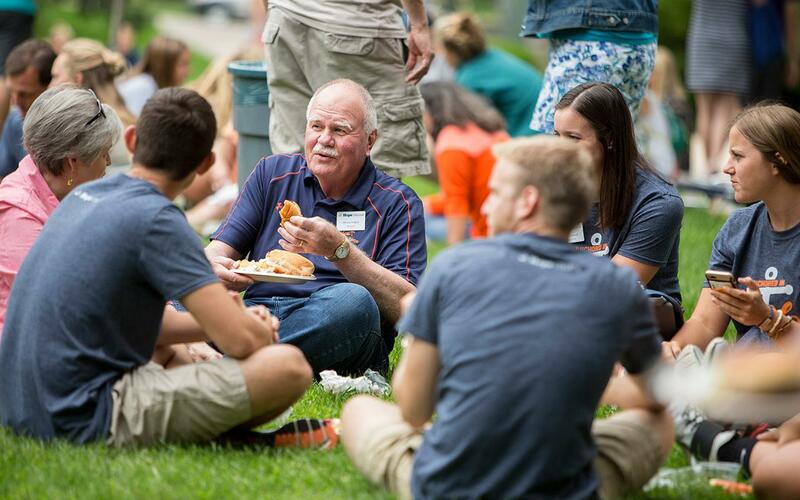 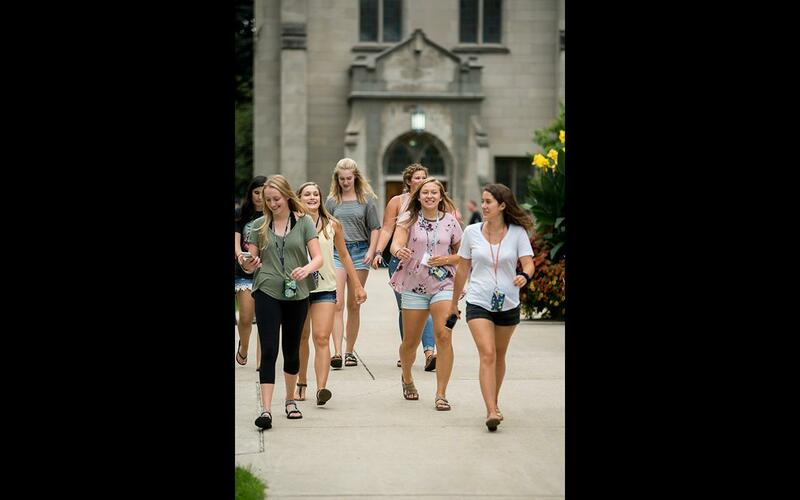 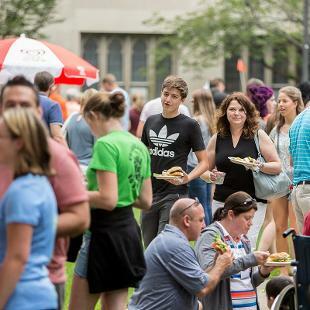 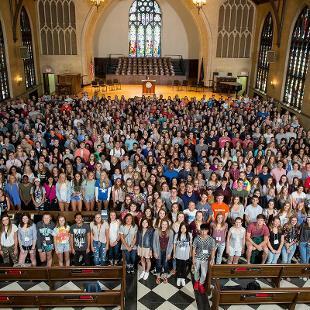 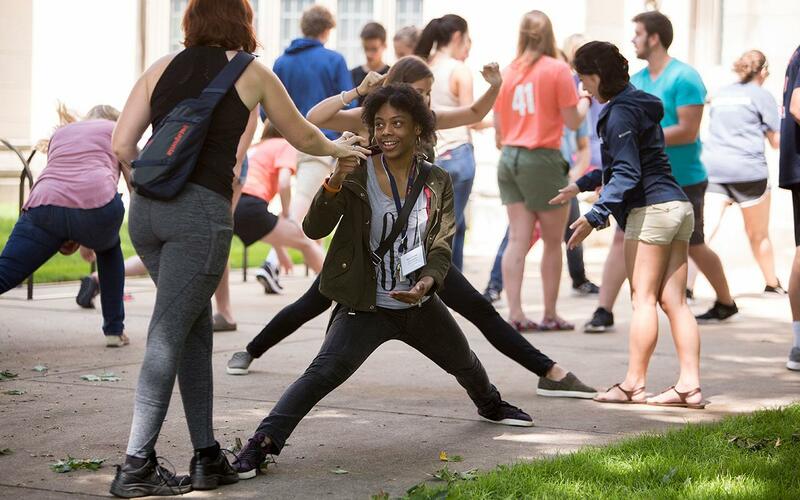 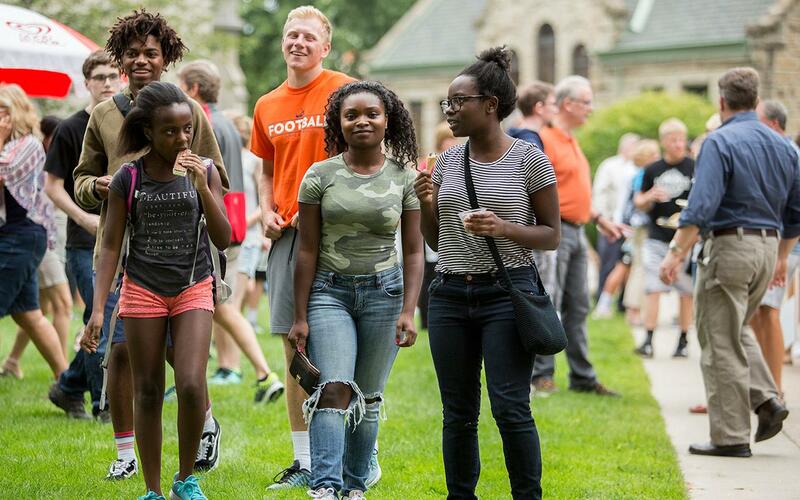 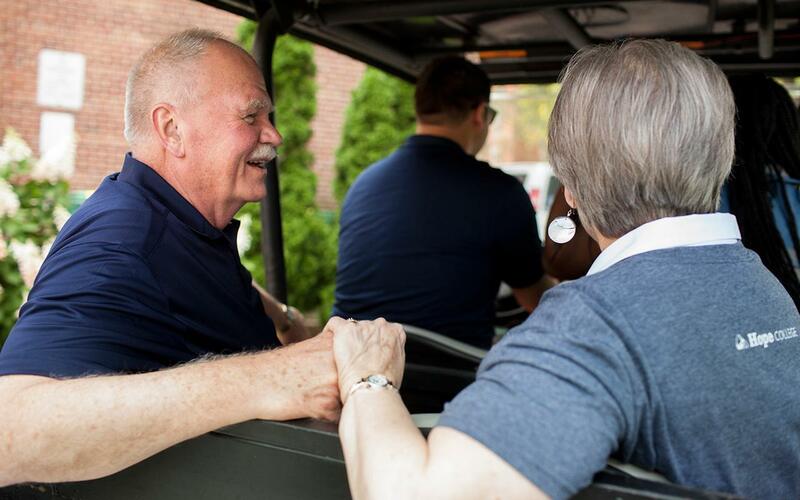 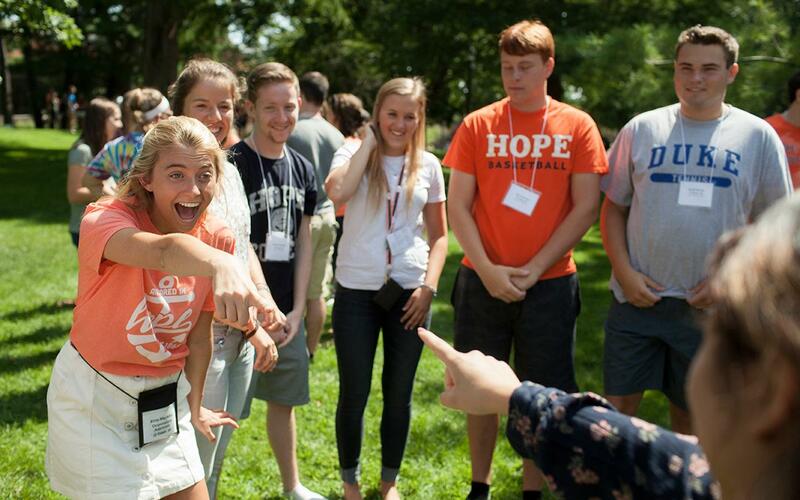 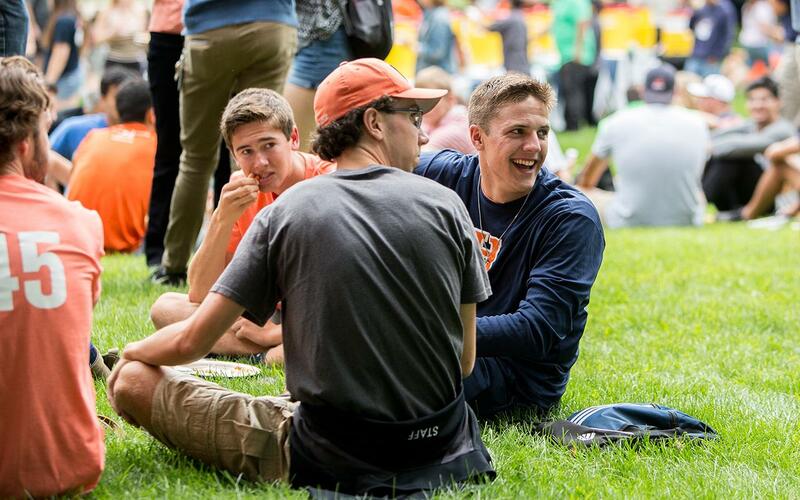 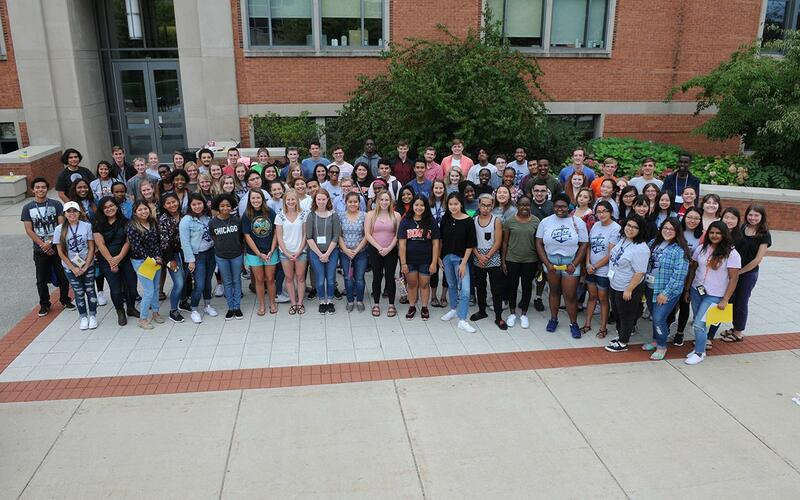 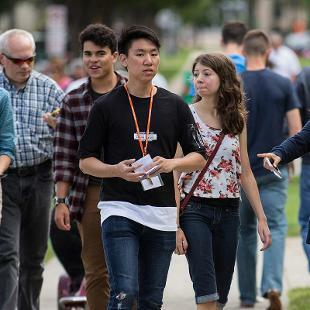 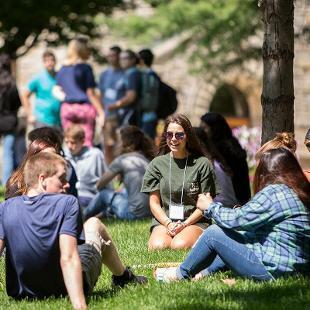 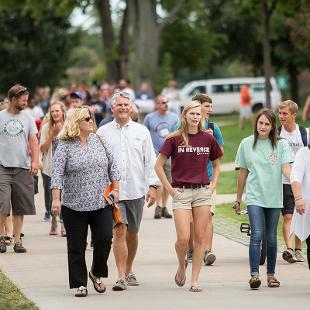 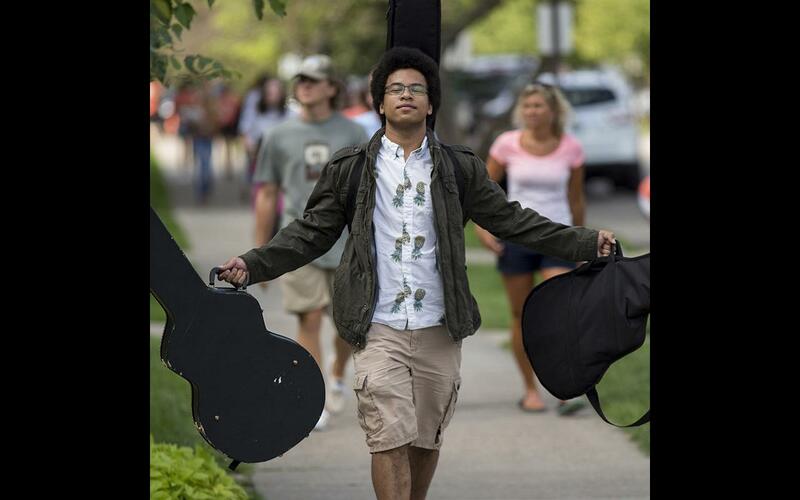 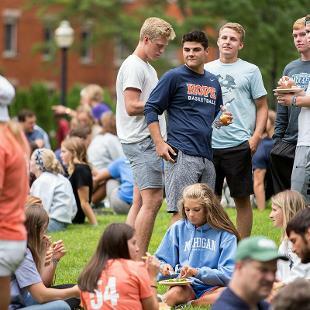 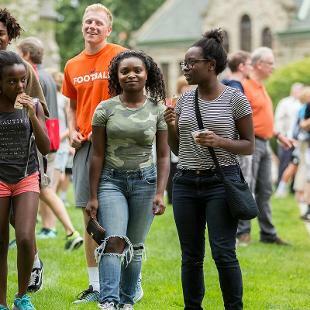 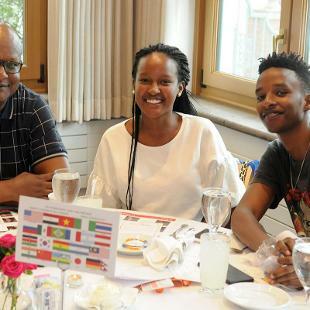 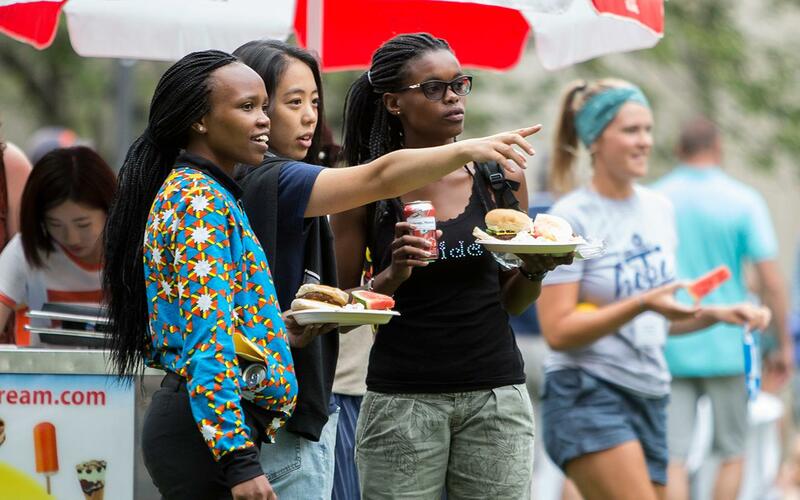 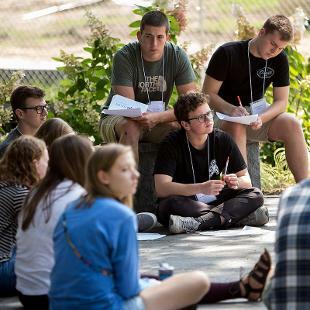 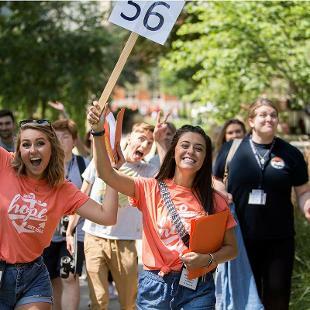 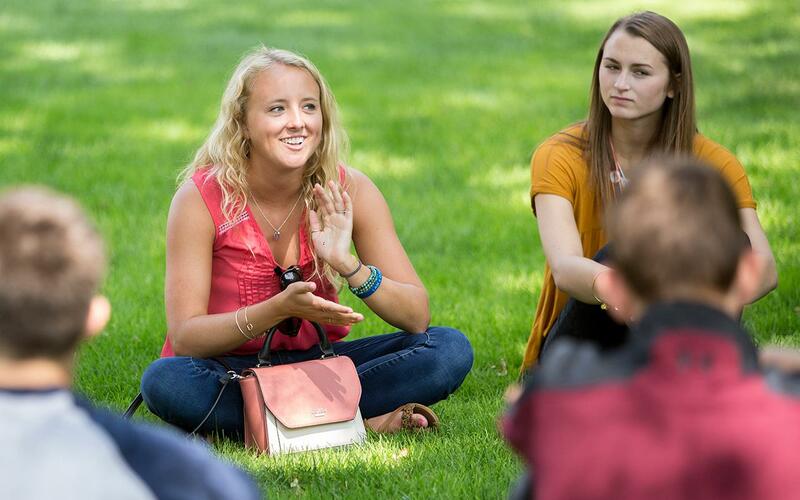 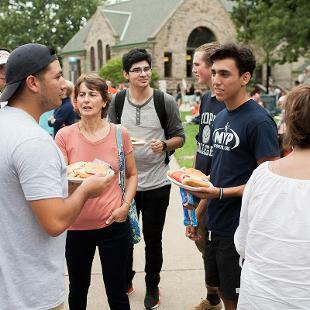 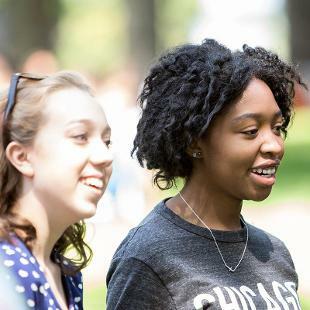 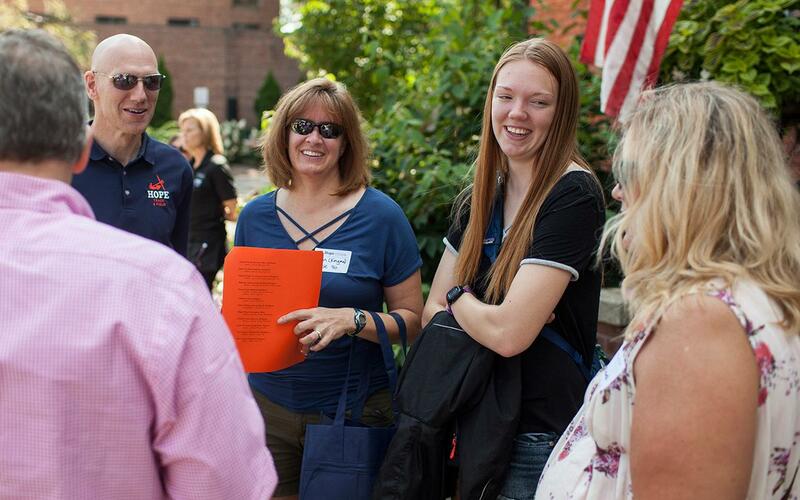 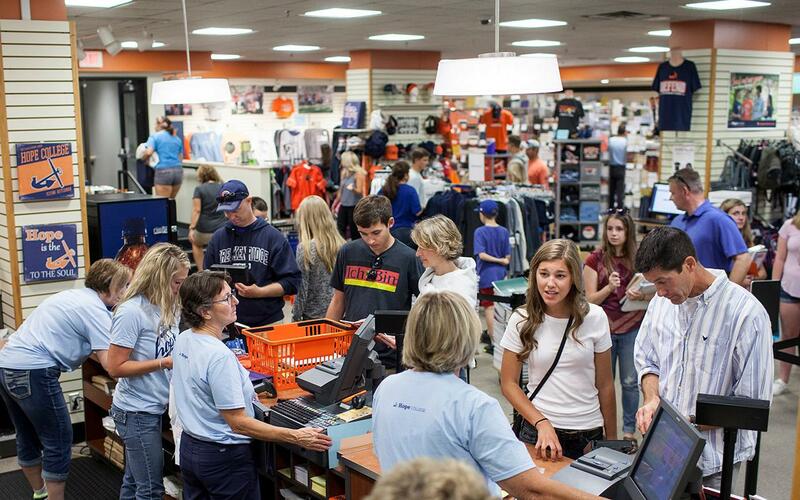 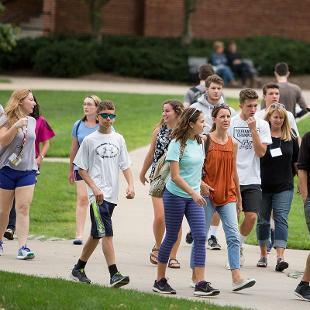 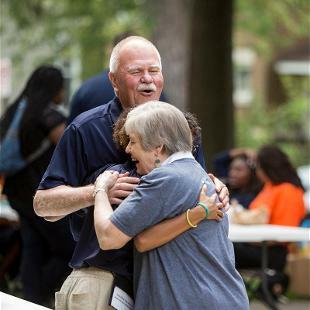 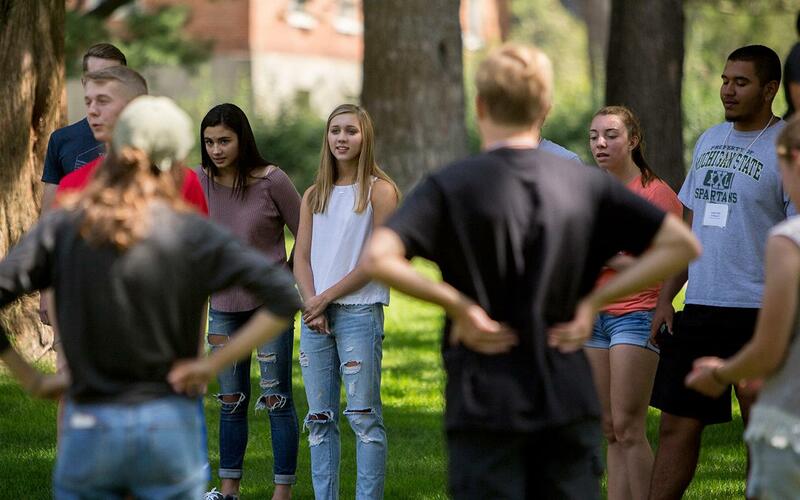 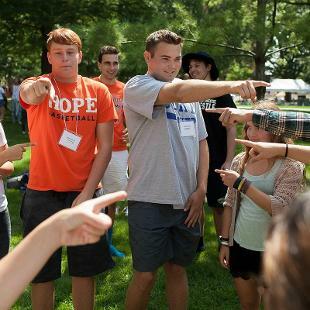 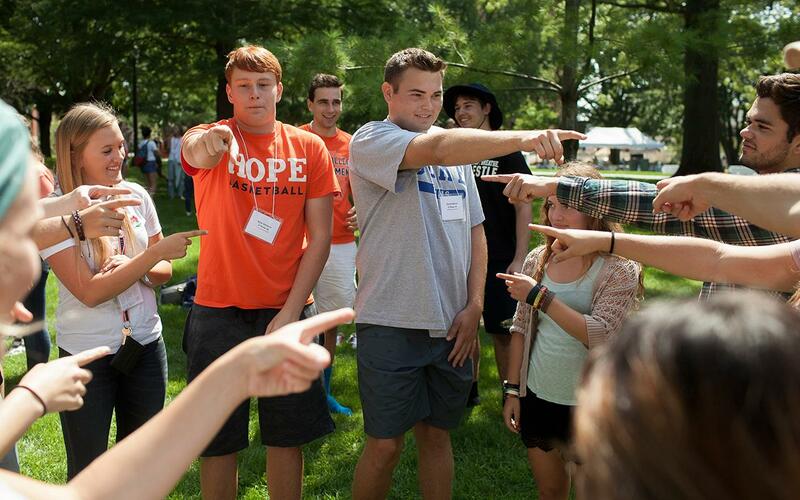 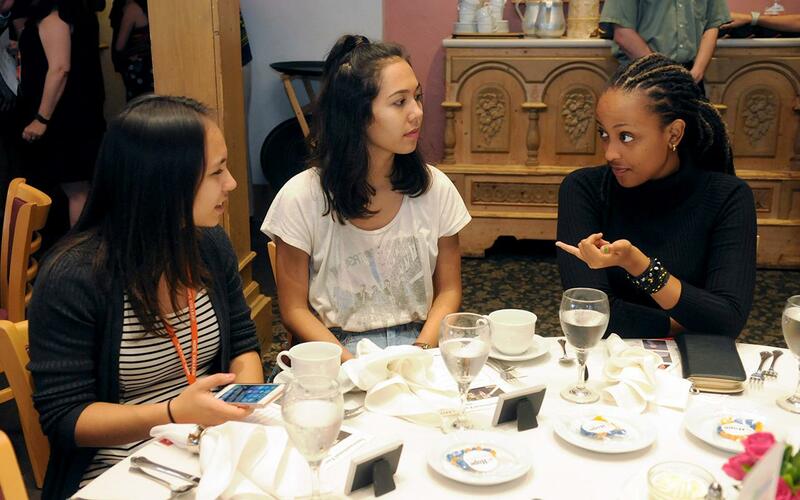 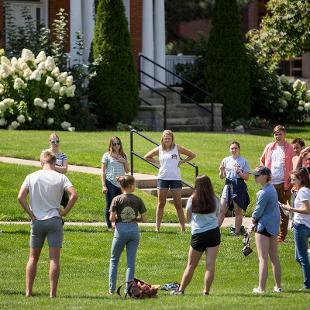 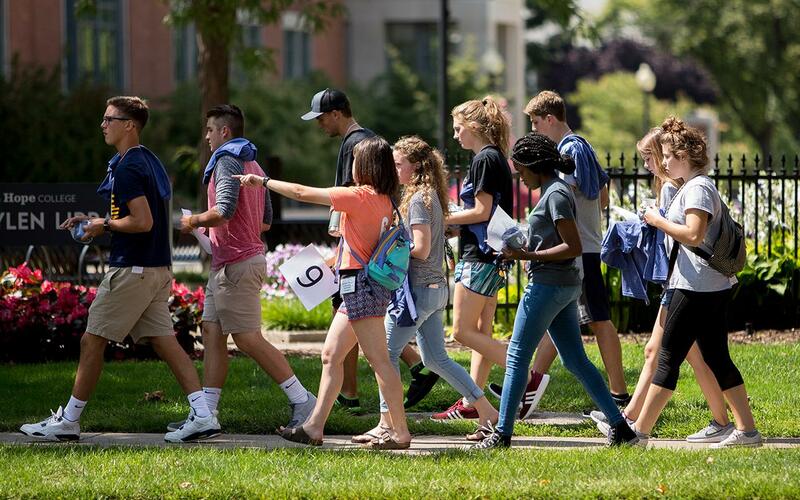 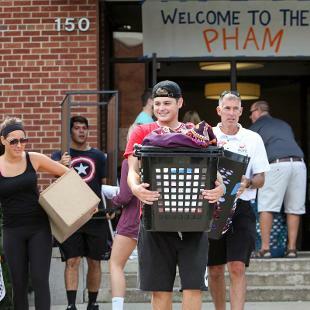 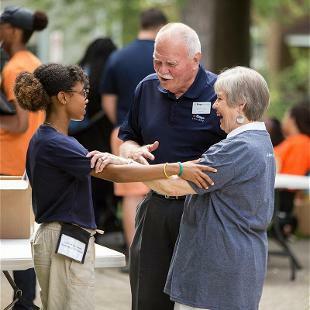 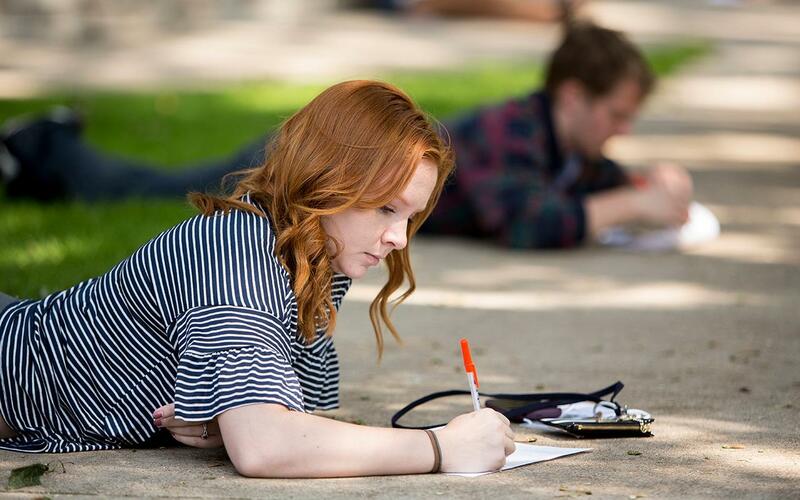 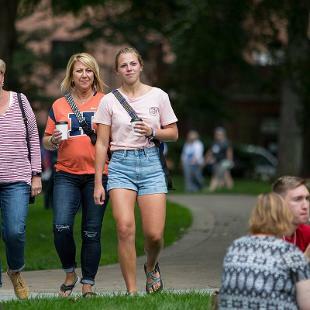 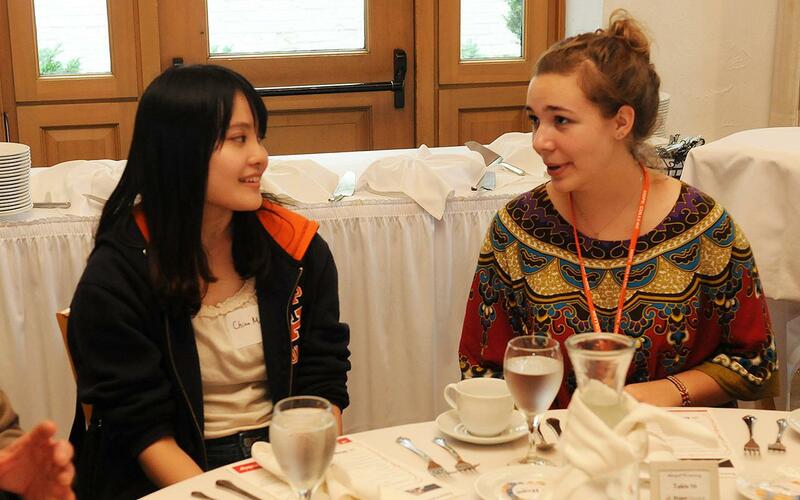 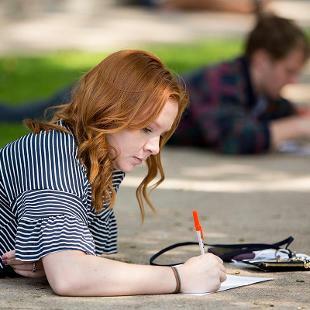 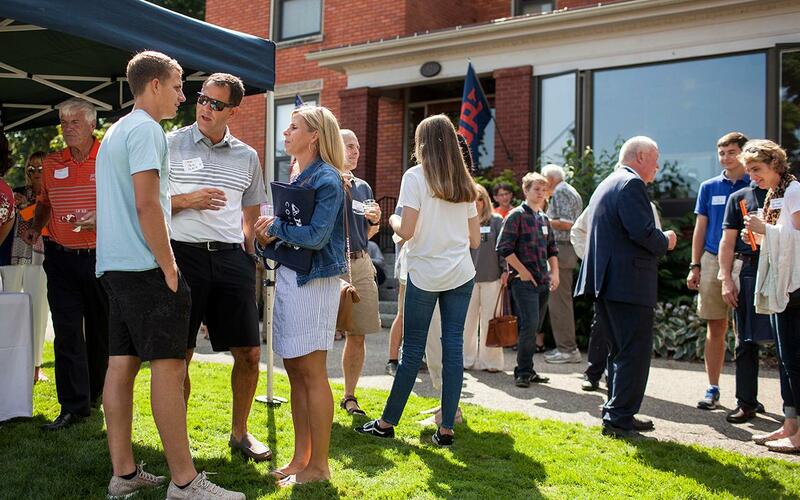 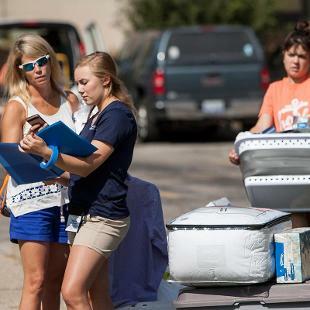 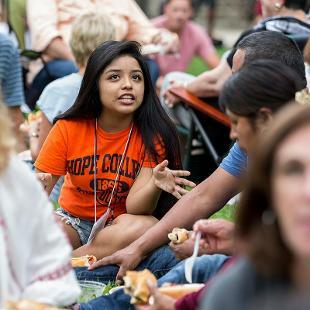 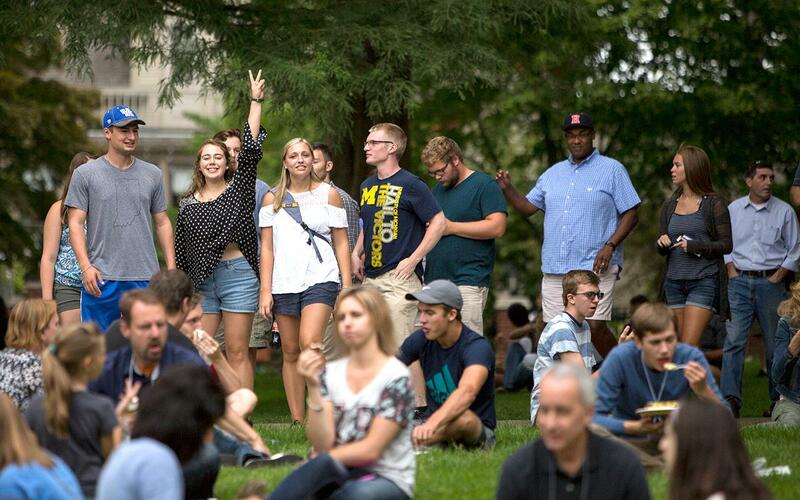 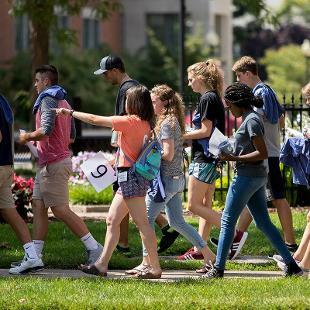 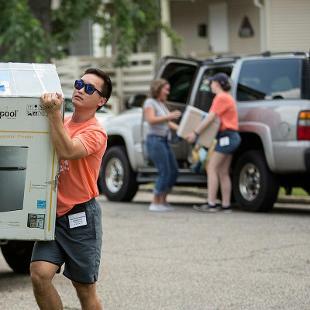 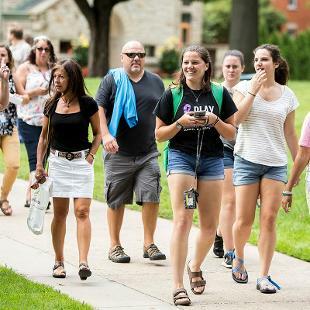 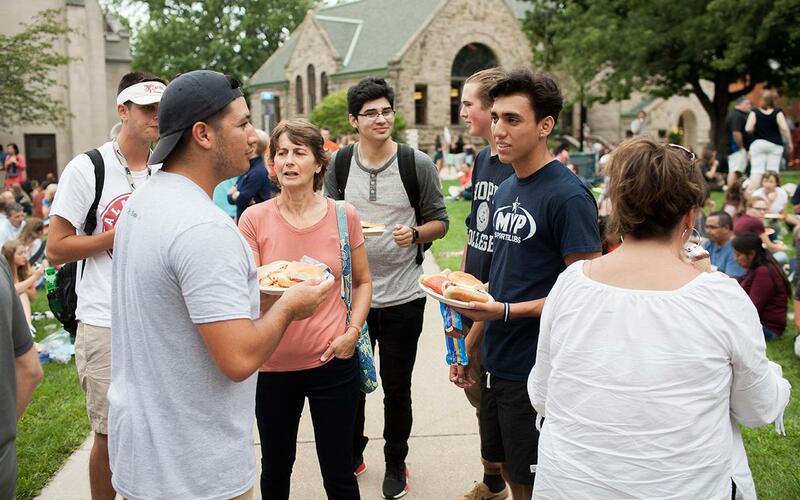 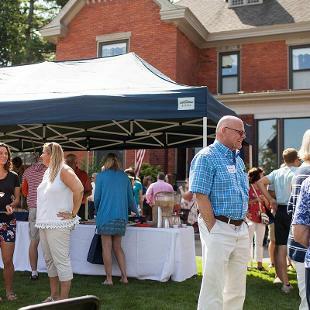 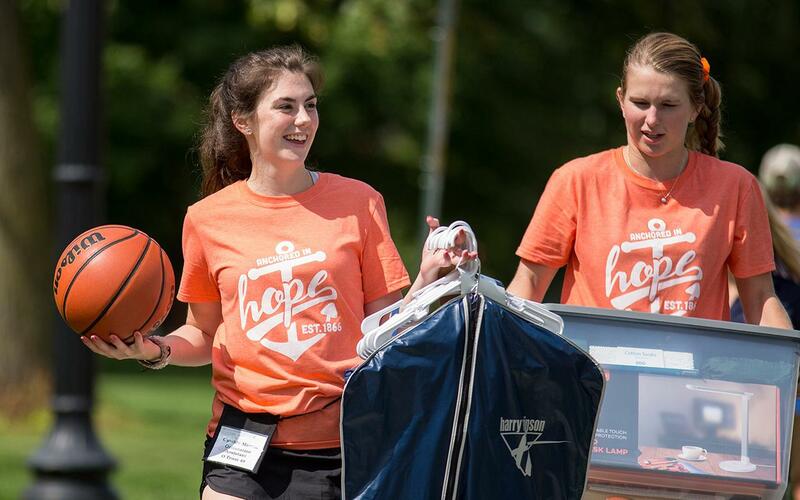 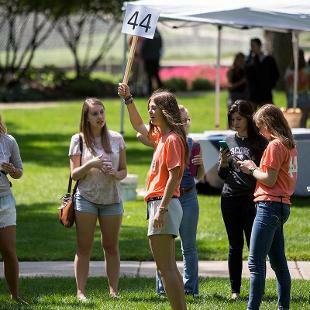 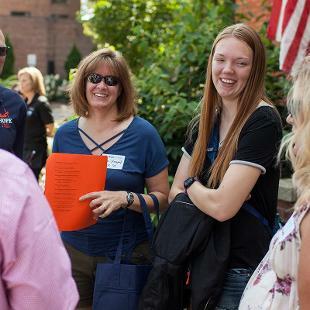 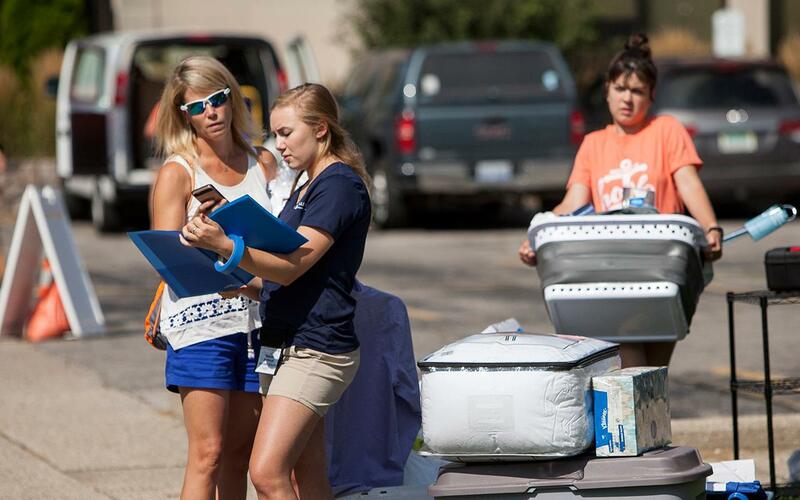 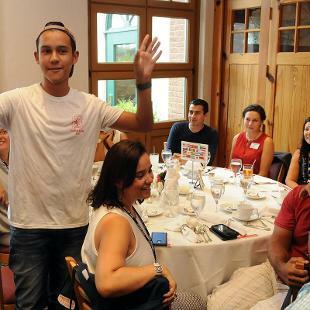 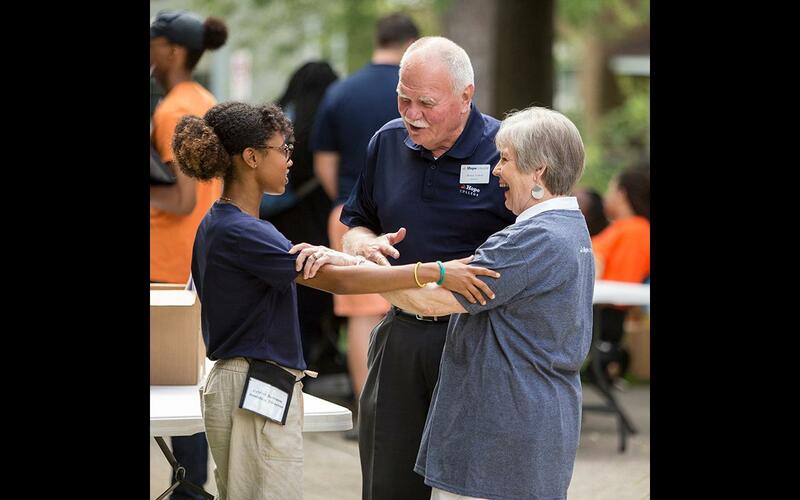 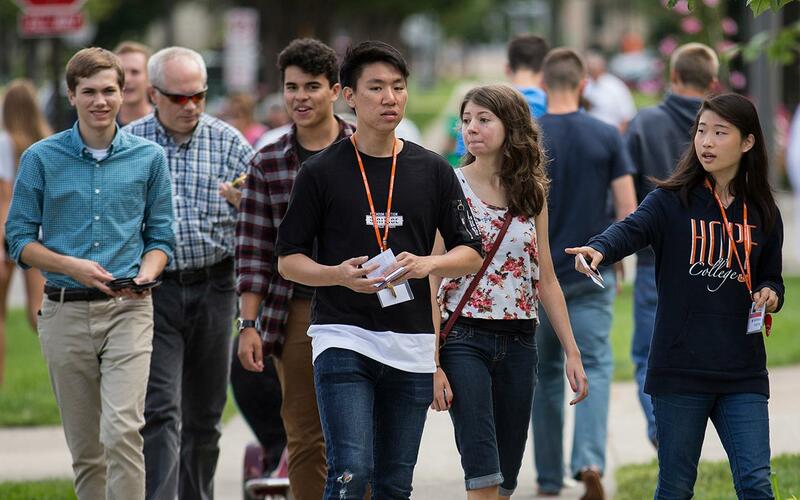 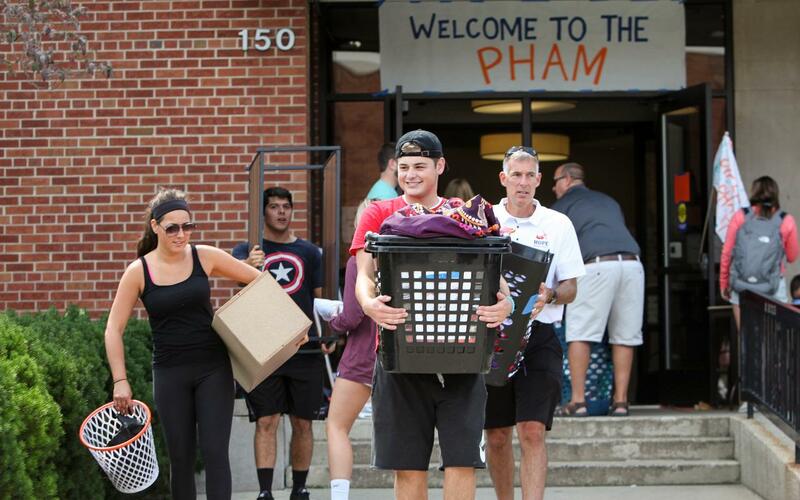 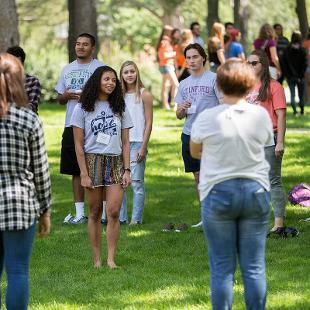 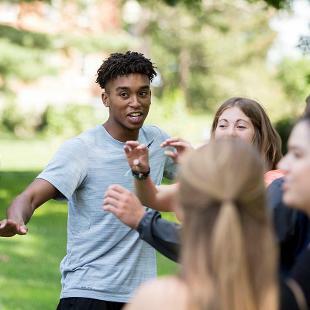 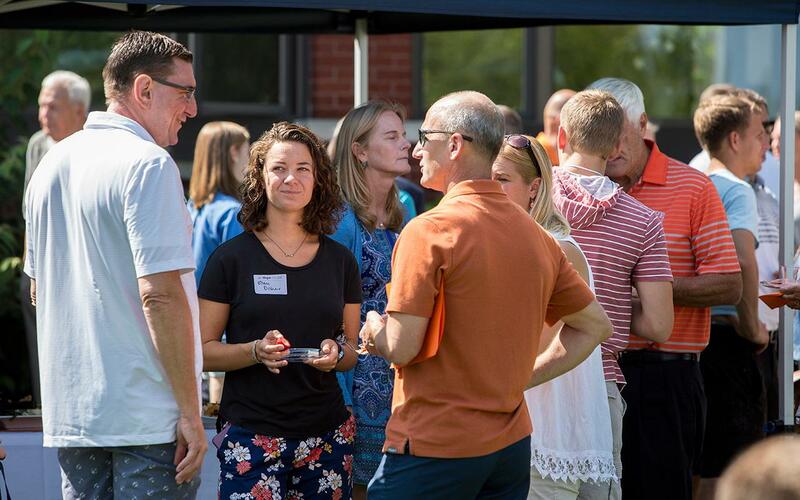 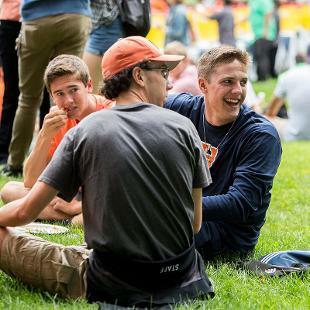 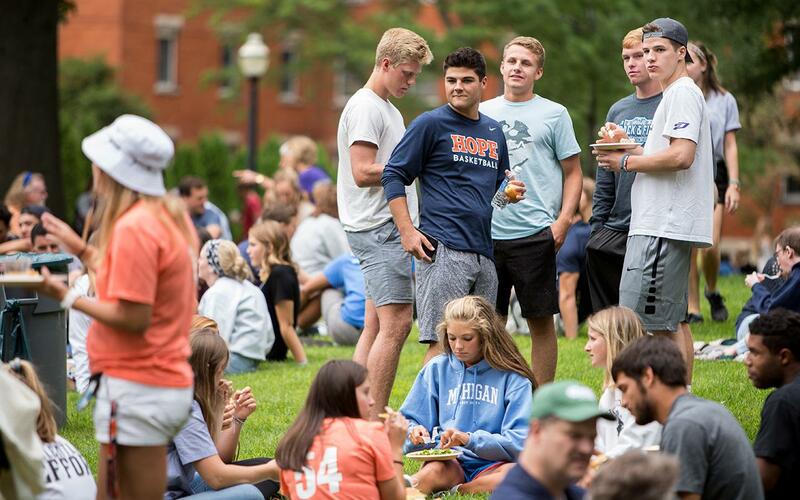 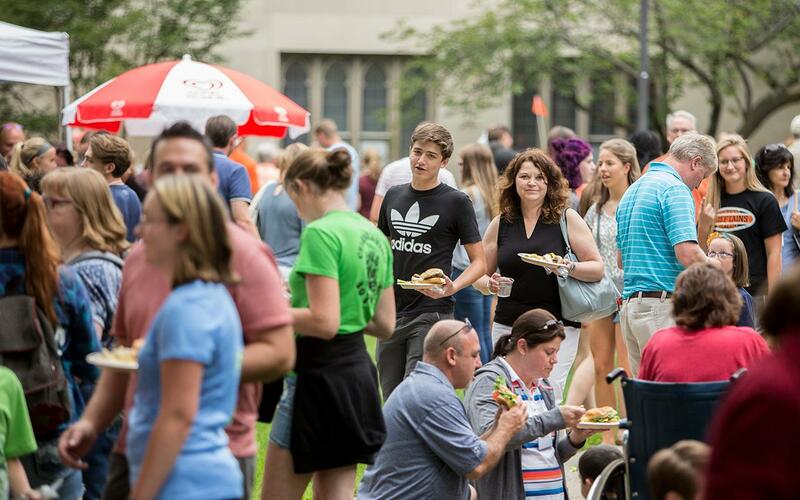 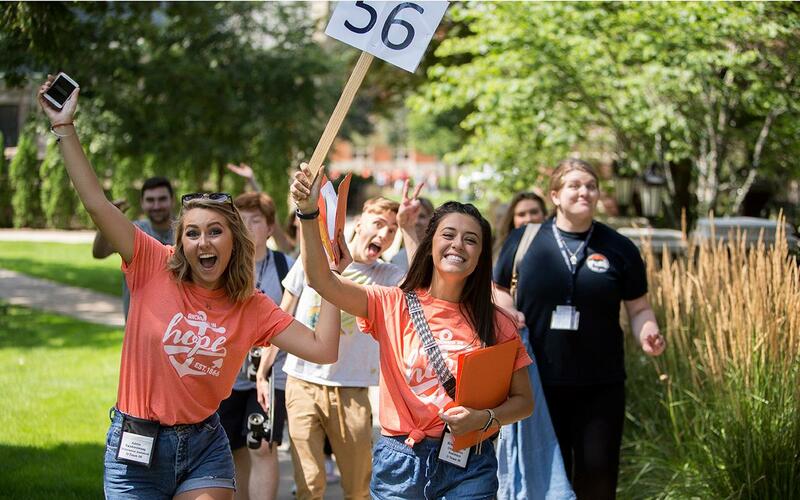 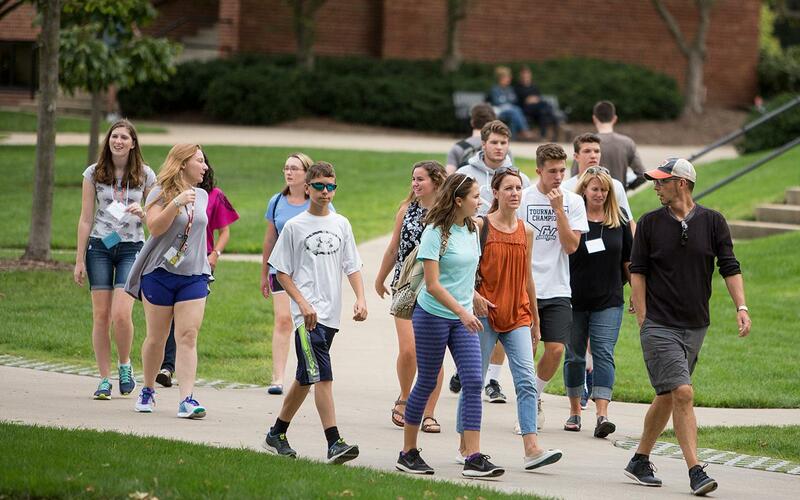 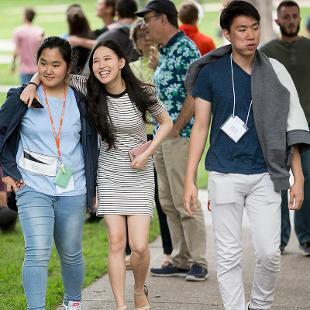 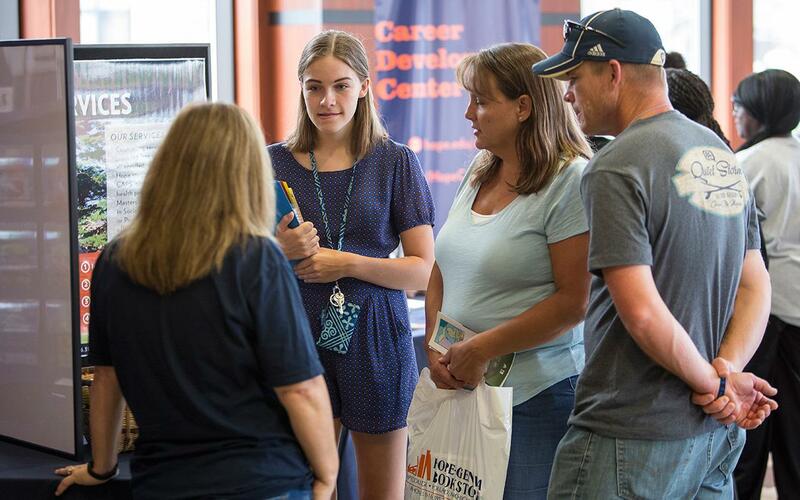 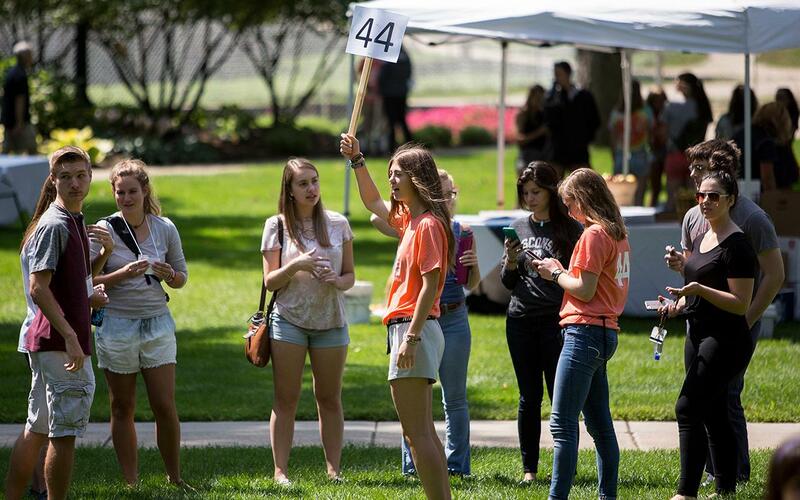 The members of the incoming Class of 2021 weren’t the only new additions at Hope College when they arrived for the college’s 156th academic year. 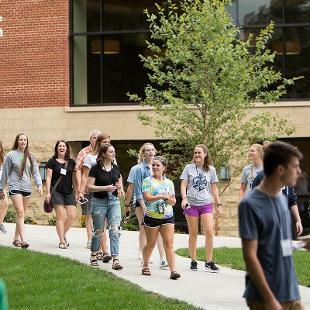 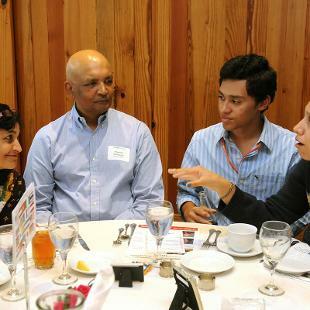 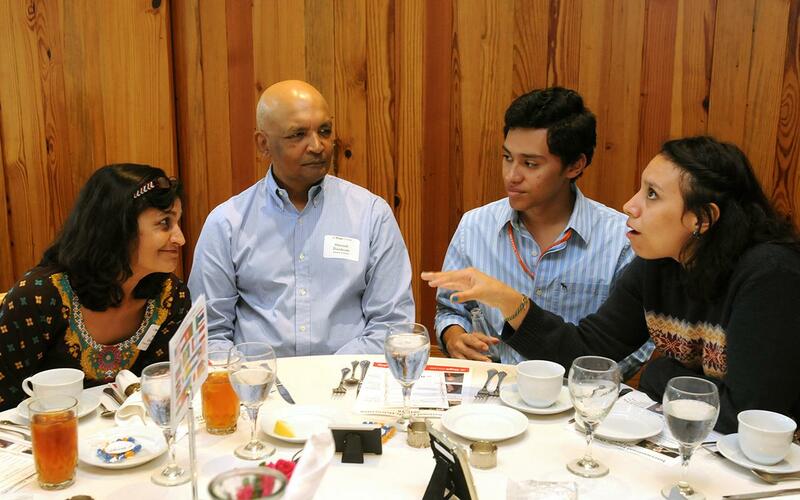 They joined new college leadership and the newly opened Jim and Martie Bultman Student Center. 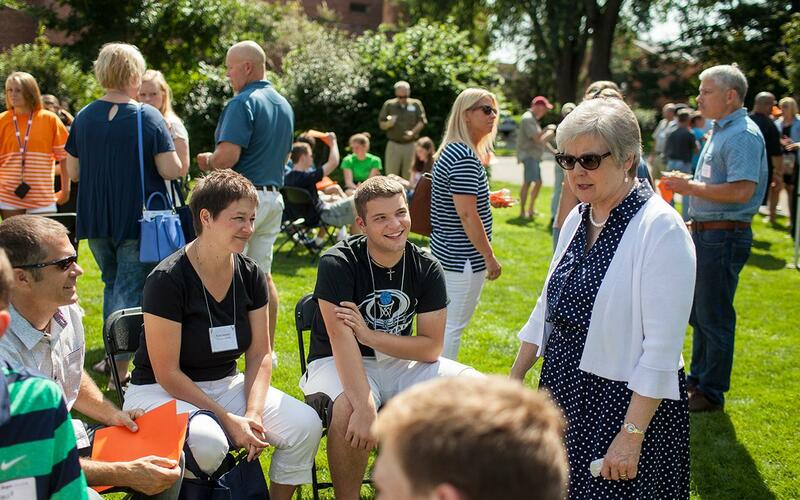 The new year will be the first in the two-year interim presidency of the Rev. 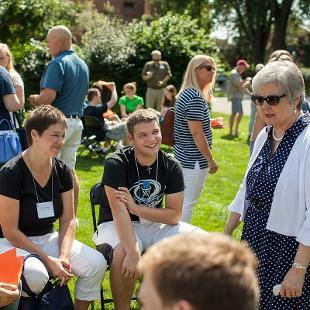 Dr. Dennis Voskuil. 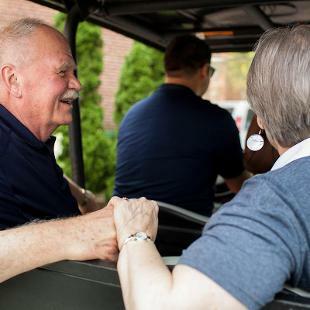 A retired president of Western Theological Seminary and formerly a long-time member of the Hope religion faculty, Voskuil took office on August 1, succeeding Dr. John C. Knapp, who resigned to become president of Washington and Jefferson College in Pennsylvania. 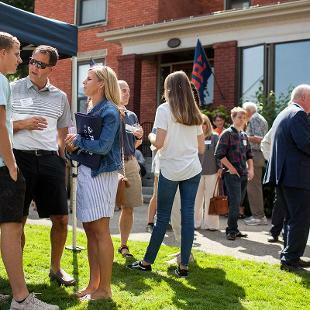 Also new is Dr. Cady Short-Thompson, who became Hope’s provost and a professor of communication at the college at the beginning of August after previously serving as dean of Blue Ash College of the University of Cincinnati system. 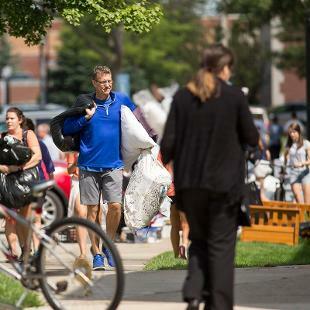 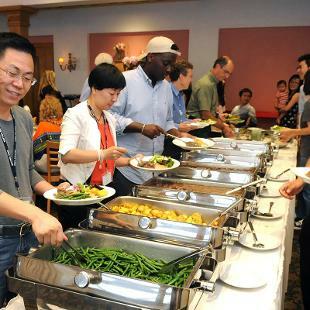 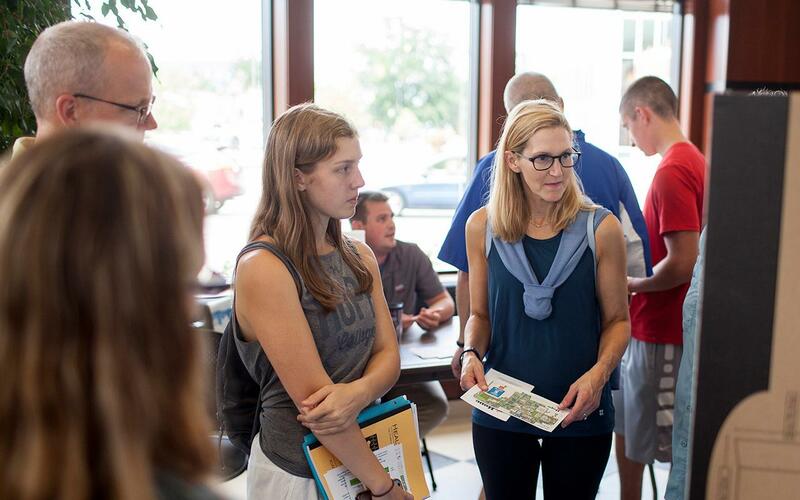 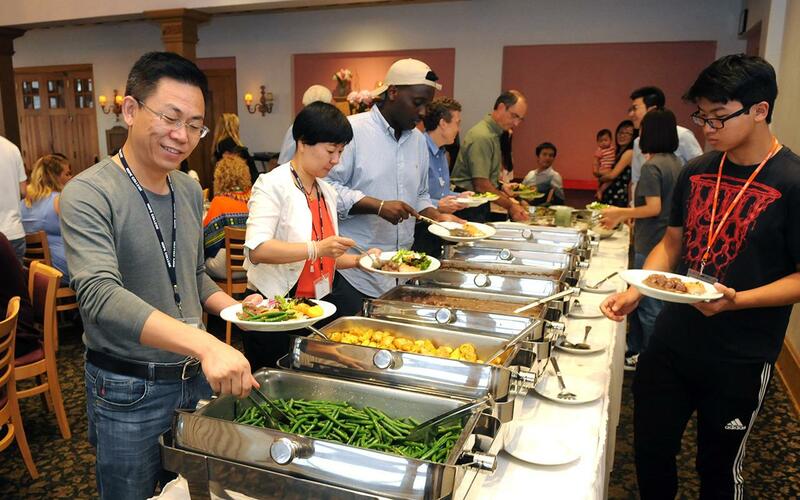 The 42,000-square-foot Jim and Martie Bultman Student Center in the central campus, which is open for the new school year, has already been playing a behind-the-scenes role on behalf of the incoming class.